Laguna’s comments on roses were: There are three cultivated species of roses, which are white, red and pink. They are very useful in human life.They are enjoyed for their soft fragrance, the colors are comforting to the sight and the substance of the petals is the most solid. For this apothecaries made rose colored, soothing preserves and syrups. Roses are dried to make powders with them. The white ones are the poorest of the three. They are used only to distil rosewater. This cannot be done with smoke or lead. They must be distilled in a double glass, like a double boiler. As the pink roses are from the red and the white they do not have the virtues or the defects of either. The juice from all but especially the pink roses is solutive. For this excellent syrup is made with them as were nine infusions to purge the bile and to clarify the blood. All medicines were improved with pink roses. Cardinal Mendoza purged his body with pink syrup only. That is why he was always so healthy, fresh, gallant; and free of obstructions, which normally tired one out before using it. For this Laguna thought it the healthiest and most catholic medicine God made for human use. It comforted the stomach and the heart. It purges the superfluous humors mildly and opened the obstructions and tempered heat of the urine. Fresh roses contain more bitterness than astringency and for this they have a more laxative effect than old and dry ones. From their bitterness comes the purgation, which is not as great as the astringency. The rose is cold in the second degree. Pink oil is in the first degree. The juice is in between both. 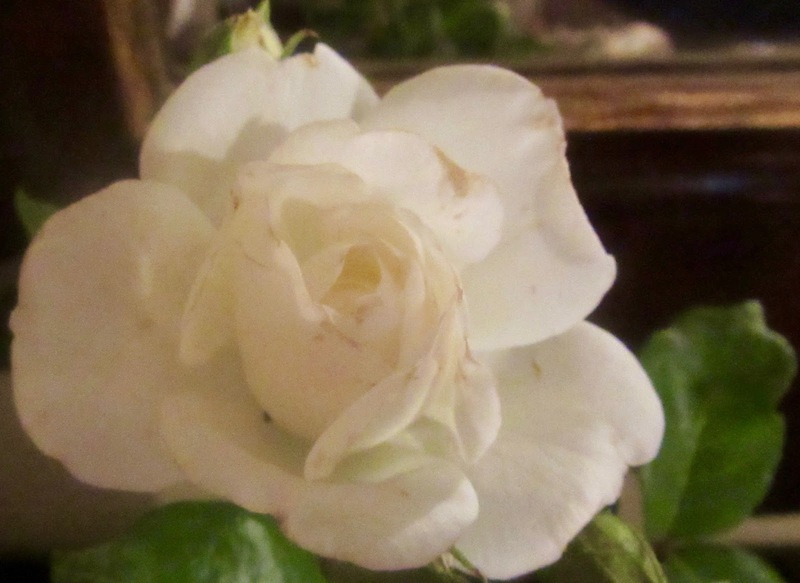 Beside the three differences in roses there is another species of white roses with a very mild smell called white musk-rose and Damascene, which have too much of a laxative effect. If 20-25 petals are eaten before the meal the evacuation will be uncontrollable; for this it is thought they have something corrosive. The wild rose called “Cynarrohodeon” by the Greeks is the most astringent, the sourest and is less fragrant than hydrangeas. The rose blossoms in constriction and squeezing are more efficacious than all the other parts; physicians took advantage of this knowledge to stop any type of discharge. Sometimes the Greeks call them “Omphalos” which means naval. Aristotle’s treaty on roses presents the problem of why is it that if the naval is sour they are much more fragrant. In sorcery the rose initiated various religious orders in ancient times and in religious art followed by the emblems of love, patience, sacrifice and virginity and is the first of the 12 mystical flowers of the order of the temple of the Rosae Crucis. Its planets are Venus and Jupiter and the zodiac sign is Taurus. When the petals are completely dry, Beat the egg white with a fork. Put sugar in a shallow bowl. Using a brush, paint both sides of each rose petal with egg white. Then dip each petal into sugar coating both sides. Place petals on a rack to dry and harden. Eat immediately as they become soft and wet even if stored in a sealed container.